Shrublets, short-lived, up to 2.5 m tall, erect, much-branched. Leaves pinnately 3-foliolate, subpersistent stipules; leaflets lanceolate, entire, acute at both ends. Inflorescence terminal and axillary panicle of racemes, bracts caducous. Flowers yellow and purplish red. Calyx campanulate. Corolla 5 lobes, acute, 2 upper lobes united into a 2-toothed lip, lower lip much smaller. Stamens diadelphous, anthers uniform. Ovary subsessile, 4-7 ovule. Fruit a linear and flat pod, broad, hairy, oblique-acute, beaked, compressed, 2-valved, diagonally depressed between the seeds with transverse lines. 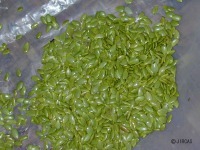 Seed brown, variable in size, shape, and color. This plant prefers the open shade, well-drained, loamy soil. 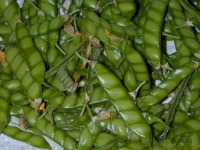 They are occasionally grown in home garden for the young pods which are consumed as a side dish with chili sauce or as ingredient in many kinds of curry. It is cconsidered as febrifuge and diuretic. 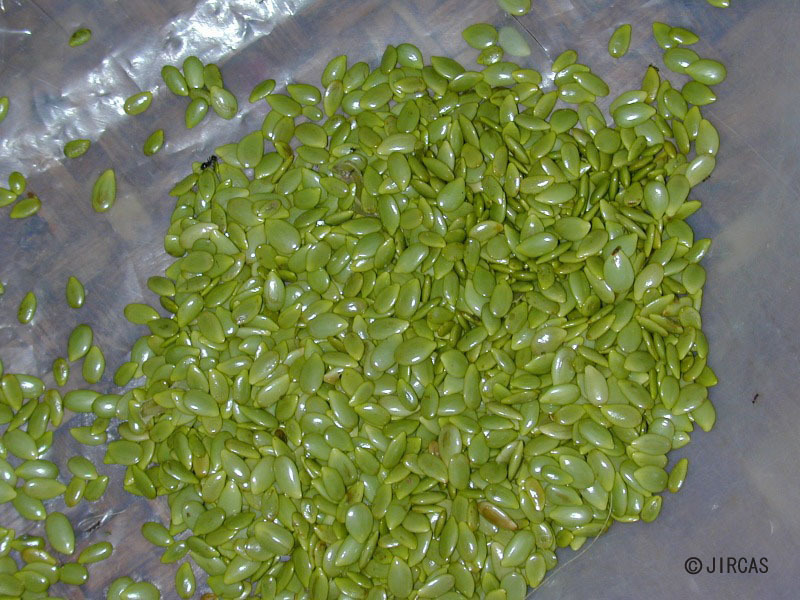 Pigeon pea is grown by direct seeding in the field during the start of rainy season. 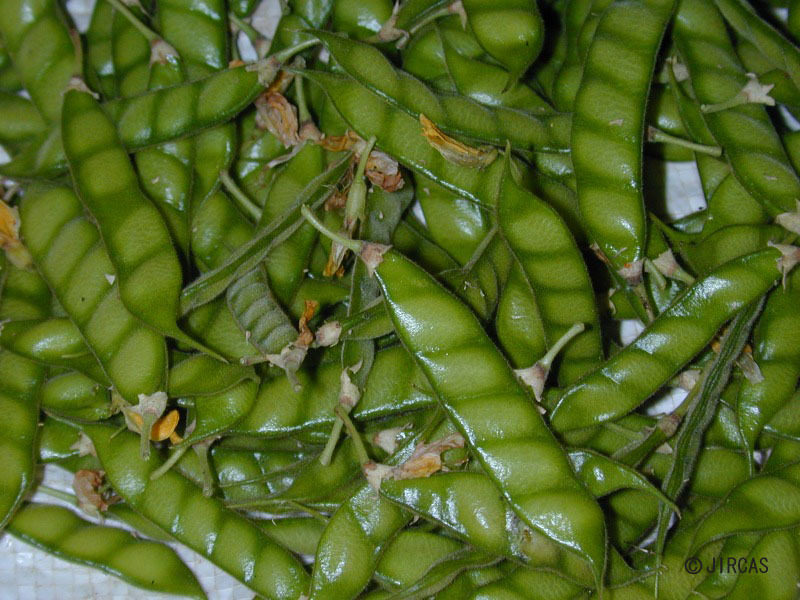 Young pods are available towards the end of rainy season.